EDITOR'S NOTE: I want to state early on that it was only after a great deal of research that I found the connection of these two. The connection that inspired me to dig deeper was that in April 1991, fourteen months before UNCED, the Prince held a private two day international conference aboard the royal yacht Britannia, moored off the coast of Brazil. His goal was to bring together key international figures in an attempt to achieve a degree of harmony between the various countries that would happen at the Rio Earth Summit. Then Senator Al Gore was present, along with senior officials from the World Bank, chief executives from companies such as Shell and British Petroleum, the key NGO's, and other officials. It has been ten years since I have been writing and studying the now established environmental philosophy of sustainable development. I was first confronted with it at the United Nations Conference on Population and Development-UNCED in Cairo, Egypt in 1994. Sustainable development was a core philosophy behind the Program of Action called "Agenda 21" at the 1992 United Nations Conference on the Environment and Development-UNCED, now dubbed the "Rio Earth Summit." In Rio, conference Secretary-General Maurice Strong stated, Agenda 21 - still stands as the most comprehensive, most far-reaching and, if implemented, the most effective program of international action ever sanctioned by the international community. It is not a final and complete action program, but one which must continue to evolve. Sustainable development has continued to evolve as that of protecting the world's resources while its true agenda is to control the world's resources. Communism also has control at its core and it also is evolving. I remember asking former UN Secretary-General Boutros-Boutros Ghali what he meant by "change" and he told me that he was introducing "constant change" as a way to continue the evolutionary processes begun in Rio. Under the evolutionary process which Agenda 21 set in motion, sustainable development has become like a prism. Every time you turn it, you get a different "color." The sustainable development prism includes the social, political, economic and environmental factors. Until Rio, the phrase sustainable development had not appeared in any prior UN documents, papers or reference books. It should be noted that Agenda 21 sets up the global infrastructure needed to manage, count, and control all of the world's assets. Included are the forests, fresh water, agricultural lands, deserts, pastures, rangelands, farmers' fields, oceans and inland waterways, marine environment, marine life, cities, housing, sewer and solid wastes, methods of production, air, pollution, biotechnology-every aspect of living-farming, production and manufacturing, research and medicine, etc., along with you and I. Today everything is sustainable: sustainable water, sustainable forests, sustainable markets, sustainable agriculture, etc. ​Through advanced technology such as the Geographic Information System (GIS), the control, count and management of the earth's assets is being implemented. Scientists have told me that the GIS satellites can measure the quality of soil anywhere in the earth to a depth of three inches. Furthermore, it can tell you what kind of birds and insects are in which kind of tree. It can also see you and me sleeping in our beds and living in our houses-ever wonder why leaded paint was such a problem? The UN calls this transparency while you and I call it invasion of privacy. So how did the UN come up with this heinous agenda? It began in 1972 when the first Earth Summit was held in Stockholm, Sweden. Maurice Strong was the conference Secretary-General of that meeting also. As a result of its deliberations, in 1974 the UN General Assembly set up the UN Environment Program-UNEP, now a major player in sustainable development, interacting with corporations and a key partner in the United Nations Global Compact. It should be noted that hundreds, if not thousands of environmental NGO's support and are helping to implement Agenda 21 worldwide. The United Nations has given them vast responsibilities to assist in the implementation of sustainable development. Furthermore, governments are recognizing their manpower as a free source of power to carry the message throughout the world. Two very powerful NGO's that were part of the birthing of sustainable development are the International Union for Conservation of Nature and Natural Resources (IUCN) and the World Wildlife Fund (WWF) . In the fall of 1983, the 38th Session of the United Nations General Assembly passed Resolution 38/161, which called upon the secretary-general to appoint a commission "to propose long-term environmental strategies for achieving sustainable development to the year 2000 and beyond." ​The individuals chosen for that commission included Gro Harlem Brundtland, former prime minister of Norway and vice-president of the Socialist International who just retired as Director-General of the World Health Organization. It was William Ruckleshaus from the U.S. who also served on this life-changing commission. The rest of the delegates were from other socialist, Marxist, or communist countries. While I could provide you with their definition of sustainable development which my research shows is based on the 1977 USSR constitution, let me paraphrase: The world has too many people, and if we do not reduce the number of people on planet Earth, they will use up all of the Earth's resources so that future generations will be left without any resources. The United Nations is the best global body to monitor, manage and preserve the resources of the planet. As a community activist ten years ago, I could not understand why our kids were being pushed to use condoms, why the schools were educating in matters that did not involve them, why family planning classes were discussing sensitive matters in front of boys and girls or why homosexuality was becoming accepted (homosexuals don't procreate-now they only adopt). Furthermore, the schools were assisting abortion clinics by aiding pregnant girls during school hours by providing school time for them to use their facilities, without parental consent. These are all methods to reduce the population. Euthanasia, the right to die with dignity, is for the elderly. Then there are wars, illnesses, and viruses. It should be noted that these same environmentalists feel that the population of the world has to be reduced by at least 66% in order for the earth to be sustainable. However, the brilliant research of Dr. Jacqueline Kasun from Hamboldt University has proven statistically that if you were to take all of the people in the world (2004) and put them into the State of Texas, they would have 1200 square feet of space each. ​Even before the people of the world understood the threat to world population, the Group of Seven, now the Group of Eight world leaders stated in their 1981 communique that they were "deeply concerned about the implication of world population growth." In 1990, they commended the forthcoming 1992 Rio Earth Summit and in 1992, they wrote, "The Earth Summit has been a landmark in heightening the consciousness of the global environmental challenges and in creating a world-wide partnership on development and the environment." It was at the 1992 UNCED conference that sustainable development was unveiled. Interestingly to note, there was a very strong and powerful corporate lobby that had come together to support this evil agenda of control. Called the World Business Council for Sustainable Development-WBCSD**, they still exert great power and influence on the international level. The WBCSD has nurtured and expanded sustainable development-all the way to the ten year follow-up of UNCED in 2004 at the World Summit for Sustainable Development in Johannesburg. We believe sustainable development begins at home and is supported by effective domestic policies and international partnerships. We recognize poverty remains a global problem of huge proportions that demands our action. To fulfill its commitment, our government is spending $970 million over three years which will be used to leverage private monies to generate more than $1.6B for water-related and other activities globally. Projects included: Clean Energy, an Initiative to Cut Hunger, sustainable forest management and monies to help fight AIDS, tuberculosis and malaria. ​The centerpiece of Johannesburg was the launching of "International Sustainable Development Law" that will govern the implementation and legal rights of sustainable development. This new discipline is based on poverty alleviation and the rights of the marginalized (socialistic transfer of wealth mechanisms). Over 150 environmental lawyers and those from other related disciplines met in Durban, South Africa a week before to discuss the integration of environmental, economic, and social laws into one new discipline. There were policy papers put forth which they hoped would be used as the framework for a Treaty on International Sustainable Development Law. Their actions reaffirmed Chapter 39 of Agenda 21 which recognizes the need to continue progressive development and codification of international law related to sustainable development. It should be noted that these laws will be incorporated into every local and national level of law worldwide. ​For those of us with Christian values, this is the anti-thesis of what we believe for sustainable development is pagan. It perverts Genesis 1, 2, and 3 in that it puts the earth as being dominant over man and not man as having dominance over the earth-hence, you and I have no value since we have been demoted to the same value as an animal or plant. So what do you think is the end result of international sustainable development law? Enslavement. Now who were THE players behind the birthing of sustainable development? To my surprise, it was Prince Charles. Not happy with the Christian faith, Charles turned to "para- psychology" which some define as "dabbling in the occult." He was greatly influenced by the South African-born writer, explorer, and mystic Laurens van der Post who was a friend of his grandmother, the Queen Mother. The prince was also influenced by James Lovelock, a British scientist who formulated the "Gaia hypothesis, which today is known as the worship of the earth, a belief based on the Greek goddess Gaia, the Earth Mother. Charles concurs with the perversion of Genesis 1, 2, and 3. ​Most people will not find Prince Charles or his environmental activities in the headlines of major newspapers. Nor do his biographies really explain his involvement, as there is basically a blackout on what he is really doing worldwide. In April 1991, fourteen months before UNCED, the Prince held a private two day international conference aboard the royal yacht Britannia, moored off the coast of Brazil. His goal was to bring together key international figures in an attempt to achieve a degree of harmony between the various countries that would happen at the Rio Earth Summit. Then Senator Al Gore was present, along with senior officials from the World Bank, chief executives from companies such as Shell and British Petroleum, the key NGO's, and other officials. Several years ago, I had the opportunity to interview Maurice Strong and specifically asked him about this meeting. He told me he was in London at a World Wildlife meeting hosted by Prince Philip and was asked by Prince Charles to accompany him to Rio for the April 1991 meeting. Furthermore, in 1990 when sustainable development had just been formulated by the Brundtland Commission, it was the prince who commended them for "bringing the term 'sustainable development' into everyone's vocabulary." ​As sustainable development has evolved to the point where the teaching of Agenda 21 is called "Earth Sciences" in schools, universities, and colleges, our government has instituted Agenda 21 through the Presidents Commission on Sustainable Development. Throughout the U.S., there are cities that have adopted Agenda 21 and there are those that are now sustainable, such as "Sustainable Racine." We must remember Russia did not fall to the communists all at once-it was city by city. 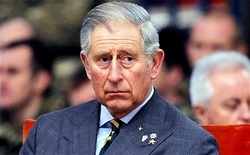 ​I wrote Prince Charles the Sustainable Prince in 1997 with major updates in 1998 and 2000. It is key and relevant for those who want to understand what is happening today. At every turn the Prince is still involved in the affairs of the United Nations, sustainable development, and public-private partnership. The Prince's representatives are to be found at all the key global meetings, expounding and advancing this life changing philosophy. Perhaps we should wonder why the world still follows him and carries out his dictates. ​For ten years, various activists have been warning and educating about sustainable development. Who do we go to? The church has been silent. Major "conservatives" have been silent. No one has even questioned President Bush about his support for sustainable development. It is not even a key issue in this election. On October 18, 2010, with her husband Rod holding her hand, Joan answered her Master’s call and slipped quietly away to be with her Lord and Savior after a courageous three year battle with breast cancer. She was 61 years old. Joan’s remarkable life began in Racine WI on May 17, 1949, born as a twin with Raymond, to Albert A. and Mary A. (Parino) Yocco. On March 22, 1963 Joan asked Jesus to come into her heart and be her Lord and Savior, after which she dedicated her life to doing God’s will. Joan is a graduate of Horlick High School, class of ’67, continued on to attend Moody Bible Institute in Chicago, then finished her education at Geneva College in Beaver Falls PA earning her Bachelor’s degree in Business. While living in PA she met Roderick W Veon whom she married on August 13, 1977. Joan and Rod lived in the Pittsburgh area before moving into the Washington DC area. For the past 8 years they have resided in Middletown MD. Joan’s career began as an executive secretary in the International Department at J I Case Company. 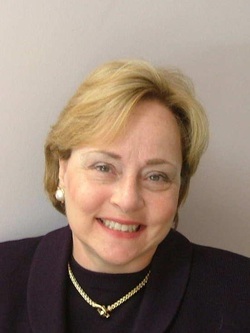 Upon earning her business degree she worked as a Certified Financial Planner in PA, The IDS and Windsor Financial Group in MD, before incorporating and opening Veon Financial Services, Inc. in the spring of 1986. As Joan studied financial trends she began to notice an alignment indicating a world currency. Joan prayed diligently for God to show her truth and in 1994 the Lord opened the door for her to attend her first global meeting on Population Control in Cairo Egypt, initiating her first glimpse of world government. Thus beginning Joan’s second career as a credentialed, independent, International Journalist reporting for USA Radio News Network. During the next 16 years the Lord opened doors for Joan to interview and ask key questions of prime ministers, presidents, kings, and heads of state. At times, as the only American reporter, Joan covered over 103 international meetings, including: the G7, G8, G10, G20, and Bank for International Settlements (BIS) in Basel Switzerland; attended yearly the World Economic Forum in Davos Switzerland; and twice a year covered the IMF World Bank meetings. In addition she attended UN meetings on the Free Trade Areas of the Americas, Sustainable Development, the Earth Summit, Climate Control, the International World Court, and numerous others. Following the UN conference on Sustainable Development in Istanbul Joan was compelled to write her first book “Prince Charles, the Sustainable Prince” published in 1997, followed by her second book “Global Straitjacket” in 1999. ​Joan founded The Women’s International Media Group, a non-profit organization, in 1998 to share her vast knowledge and understanding of world government. In addition Joan also wrote a monthly newsletter, produced many DVDs on global topics, appeared as a regular guest speaker on hundreds of radio talk shows and was invited to be a keynote speaker for various meetings around the world. Most recently Joan wrote articles for newswithviews.net. Though small in stature, Joan was a giant warrior and devout patriot. Joan is survived by the love of her life and best friend husband, Rod, her mother, Mary A. Yocco of Watonga OK, twin brother, Raymond A. Yocco of Racine WI, sisters Pat (Pablo) Ramirez of Watonga OK, Debi Massegee of Owasso OK, Judy Yocco of Phoenix AZ, Carrie (Greg) France of Watonga OK, brother John Yocco of Racine WI, in-laws Ralph and Mary Veon of Beaver Falls, PA, sisters in-law Carol (Gene) Whalen of Enon Valley PA and Lynn (Bill) Allen of DeLand FL. She is further survived by many precious nieces and nephews, cousins and dearly loved friends. She was proceeded in death by her beloved father, Albert Yocco, brothers-in-law Rodney Pierce, Jerry Massegee and a niece Joy Yocco. Interment was at West Lawn Cemetery. Donations in Joan’s honor can be made to the Women’s International Media Group, Inc., PO Box 77, Middletown MD 21769.